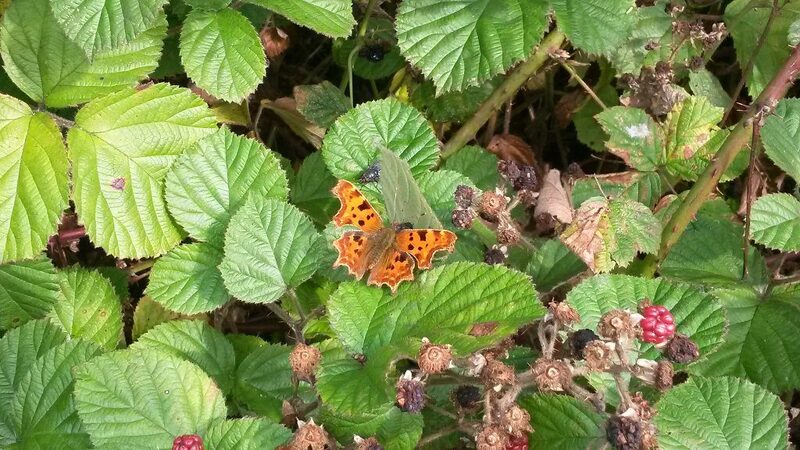 The last week or so has seen the arrival of quite a few Comma butterflies at the reserve. These are the autumn generation and are looking very fresh, (see featured image, taken October 1st 2016 ) leading you to believe they have not been around long. The life cycle of these butterflies is quite interesting: they emerge from hibernation in March giving rise to a summer generation, which can breed rapidly, leading to an autumn generation usually around September. At the Gravel Pits, however, the autumn generation has only been noticeable the last few weeks which may be typical for more northerly regions. Looking at butterfly records for previous years, the autumn generation also seems to be the more abundant of the two, with considerably more sighted than in the summer months. If you take a trip down the reserve, in the next few weeks, keep your eyes peeled when passing many of our bramble bushes.